The below contain affiliate links; by clicking you do not pay a penny more. All products have been tried (at my own expense) by me. 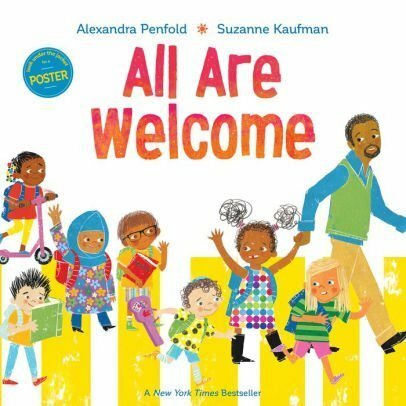 All Are Welcome is a great book with a great message. It's written by Alexandra Penfold and illustrated by Suzanne Kaufman and came out in July in 2018. It is an Amazon Best Children's Book of the Year selection and a New York Times bestseller! This is a book that all teachers should read at the beginning of a school year. The majority of teachers would agree that their room is a safe space for everyone. No Matter What. The kids in this book come from every background imaginable, and no matter the background, they are welcome. They are welcome by the other parents, by the teachers, and most importantly by the other students in the classroom. This book is very timely, and is very much in line with what the world is craving right now. As a parent of kids in school, the desire for them to be accepted and welcome is strong. All Are Welcome will warm you heart and give you hope for all of mankind. 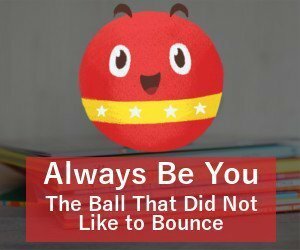 I'm the author of the book called The Ball That Did Not Like to Bounce, and I have a passion for books with good messages that help kids to be a better version of themselves. Better kids = better future for everyone. If I can affect even one child and nudge them one notch closer to being a better them, then I have achieved my goal! I do Author Visits and work to share with kids that we are all unique and special. What is a book that every teacher should own? Is there a book that gives you "the warm and fuzzies?" Scroll down and respond below.